Do you ever get bogged down with some of your tools? They work, but you know there’s got to be a better way to do something. Hopefully, this month’s collection has the solution. It’s packed with design tools that are lightweight and functional. If we’ve missed something that you think should have been on the list, let us know in the comments. And if you know of a new app or resource that should be featured next month, tweet it to @carriecousins to be considered! Create a quick, and trendy, duotone effect with the Duotone Effect Generator. 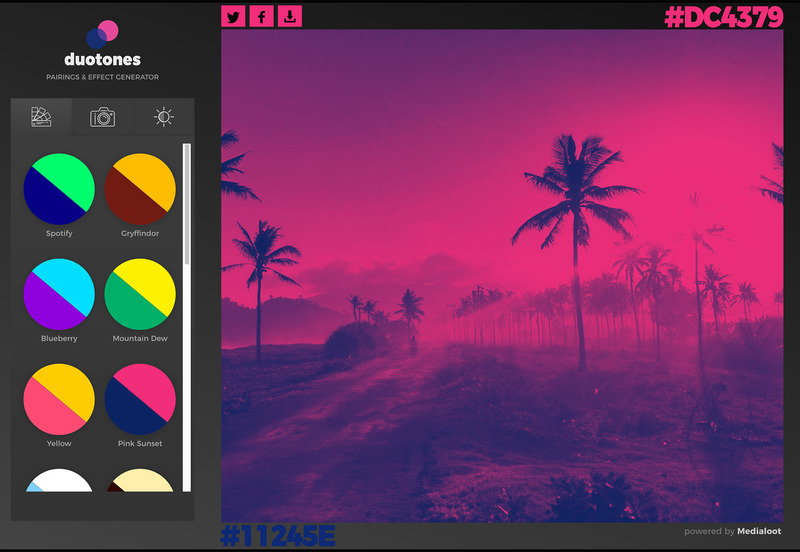 Upload a photo and pick a color combo or use your own and get a cool effect in seconds. Then you can download the image for use in projects.